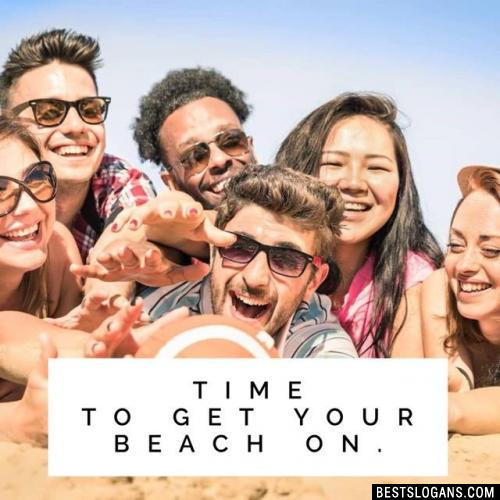 Summer slogans for business marketing, t-shirts, camp, school, posters, bulletin boards and more. There's probably a lot of cool and fun things you might not have known about the warmest season of the year. 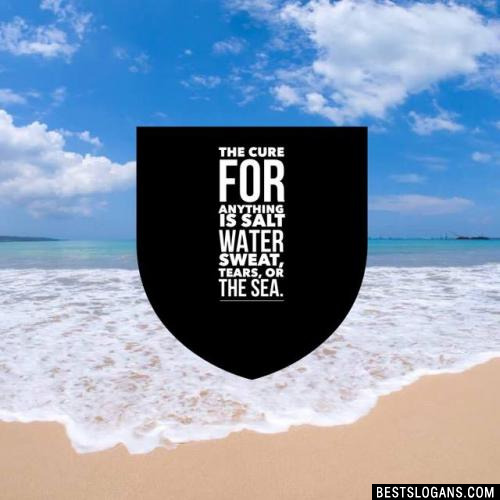 Here are some hot facts about Summer. The first day of summer is between June 20th and June 22nd every year. The first day of summer is called the summer solstice, and the day varies due to the Earths rotation not exactly reflecting our calendar year. The last day of summer is September 20th. The longest day of the year is on the summer solstice. More thunderstorms occur during summer than any other time of year. They are also take place more commonly in the south east of England. 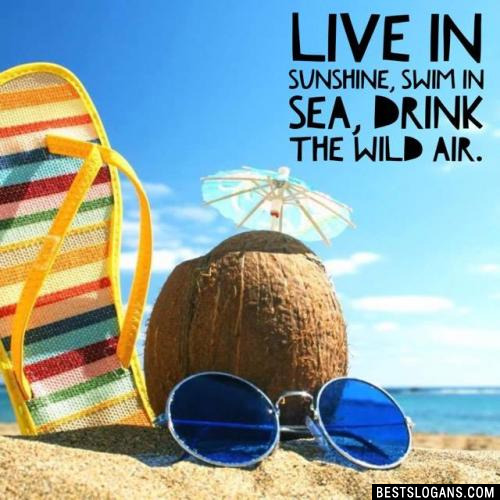 Boundless sunshine, promising weather, and an excuse to travel make Summer the greatest time of year - you'd be hard pressed to find someone who thought otherwise. 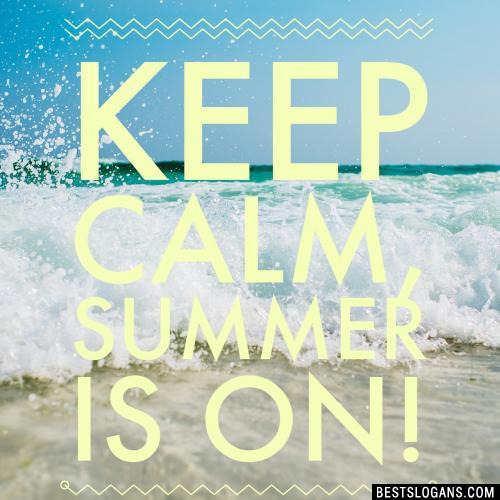 Keep calm, summer is on! 8 The waves of the sea Help me get back to me. 9 The sun and the sand and a drink in my hand. 11 Salt in the air, sand in my hair. 12 Our memories of the ocean will linger on, long after our footprints in the sand are gone. 13 May you always have a shell in your pocket and sand in your shoes. 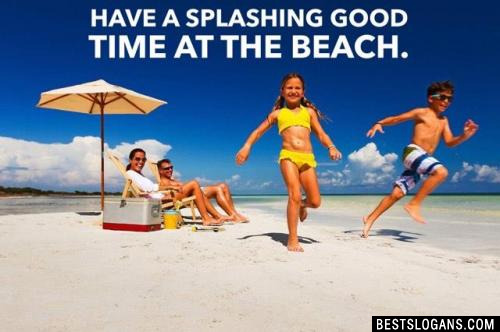 14 Make a Splash, Go to the beach. 16 Life's a beach and I'm just playing in the sand. 17 I run on island time. 18 In this hot summer heat, they can't be left in the car seat. 19 In extreme heat you better beware, elderly and young ones need to take extra care. 20 Eternity begins and ends with the ocean's tides. 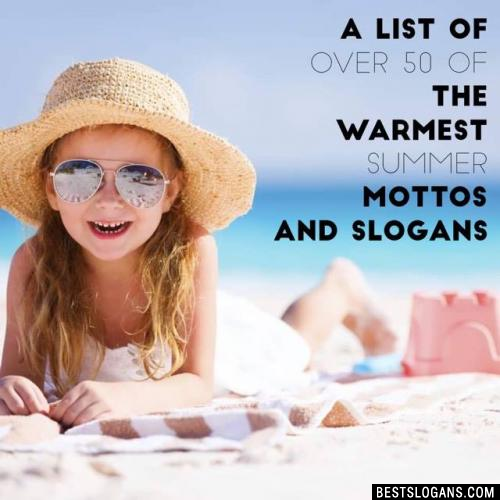 Can you think of a good Summer Slogans we're missing? Or come up with a clever one of your own. Please share below.